Aah, Christmas music. Is there anything better? I am usually the annoying person who plays Christmas songs from the start of December until the end of January. 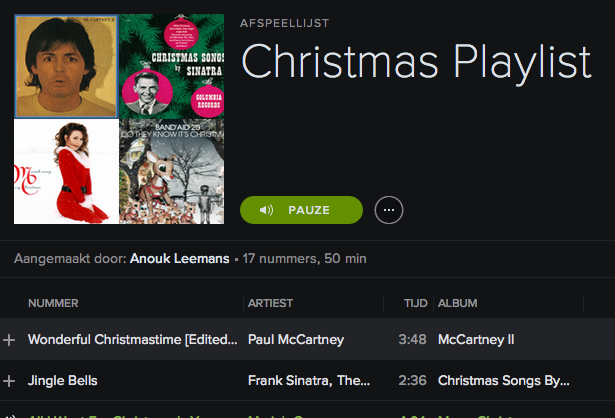 So I thought it would be nice to share my Christmas playlist with all of you, as Christmas Eve is in TWO DAYS. You can find the playlist on Spotify here. Now, all that rests me is to wish all of my lovely readers a very merry Christmas and I will check back in with you next week to share what I got for Christmas with you all. p.s. : As far as my makeup goes, I think I am going for Eye Look One and Lips Look One from my Christmas Makeup Mix & Match post.